VALUE! Printed Hoodies 50/50 Blend. Please note : Additional $2.99 for XXL and Larger will be added to your order. Value Priced Printed Sweatshirts! This Gildan 50/50 blend crew neck sweatshirt looks and feels great. Made from 50/50 cotton polyester blend. Email for ridiculously low prices on blank stock. 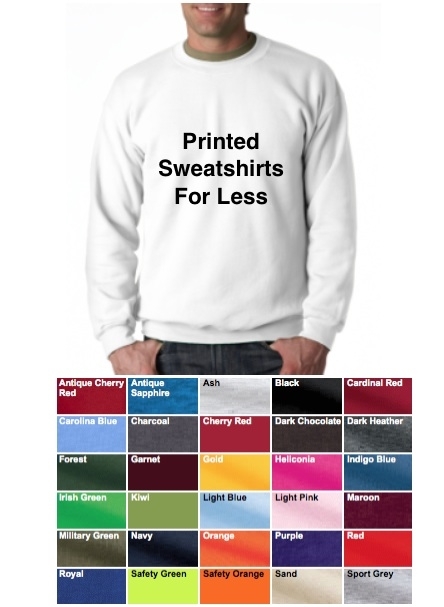 Best prices for printed T-Shirts, Hoodies and Crew Neck!